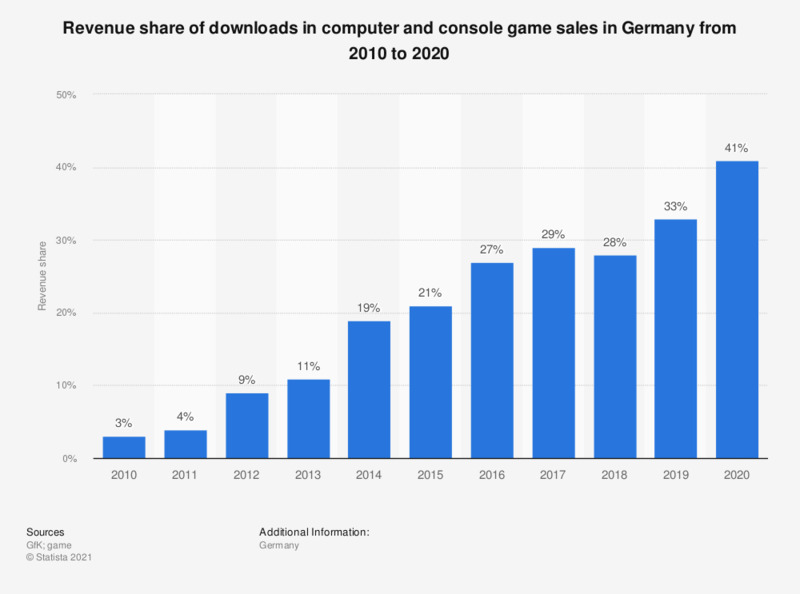 This statistic shows the revenue share of downloads in computer and console game sales in Germany from 2010 to 2017. In 2017, downloads had a revenue share of roughly 29 percent in the sales of PC and console games. * Includes video games for handheld consoles.